It is inevitable, between the ages of 39 and 55, that each of us will be confronted with a profound crisis of identity. "Now what?" we ask. 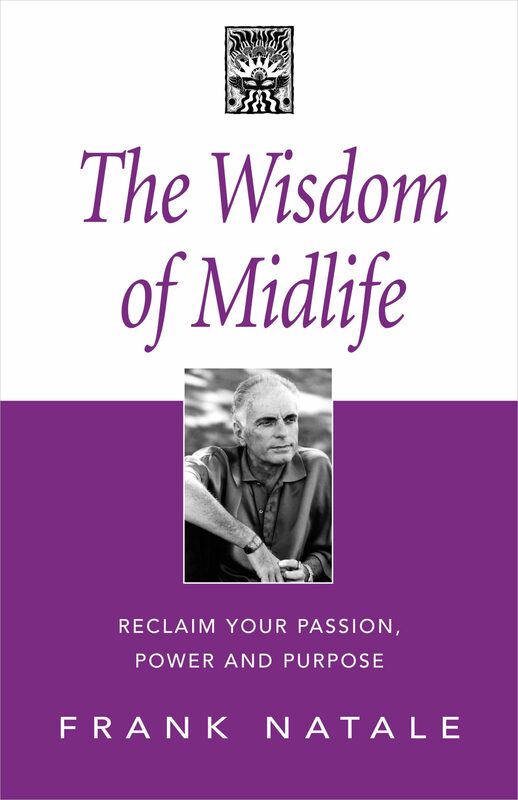 The Wisdom of Midlife presents the opportunity to reclaim the passion, power and purpose we have either lost or denied. "The difficulty with this passage is that it is seen as a breakdown, an emotional and psychological failing," Frank Natale writes. "Middle age is not the beginning of decline. This is a time to reach for the highest in our selves. Middle age is a pause to re-examine what we have done and what we will do in the future. This is the time to give birth to our power." For thousands of years, conscious cultures have celebrated life as a circular path with rites of passage and spiritual completions. Midlife is the most powerful because, at this turning point, we often feel betrayed, unfulfilled and face our mortality for the first time. "Once we are able to think and live in circles rather than lines," Natale counsels. "We are rewarded with passages that guide our consciousness in its spiritual development and greater awareness. When we experience life as a circle we are complete." Frank Natale created and presented Rites of Passage seminars throughout the United States and Europe. This book shares Natale's unique perspectives on the passages that precede midlife, from coming of age through the realization of betrayal, so we may transform this traumatic period of chaos and confusion with a clear map for conscious living. Through renewed self-awareness we embrace the priorities of integrity, forgiveness and acceptance that empower us to realize greater wisdom, creativity and joy in our lives. Otros ebooks de Frank Natale.